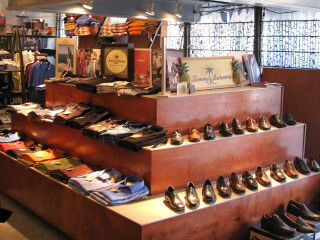 Shopping institutions are in short supply in Houston, but Rice Village boutique J. Hampton certainly fits the bill. The men's and women's boutique opened in 1984 and has stayed fresh over the years carrying lines such as Isabel de Pedro, Save the Queen and Jhane Barnes. The store skews more mature, so don't expect low-rise anything. But flirty frocks for women and smart looks for men are abundant. Owner Allan Petrie wanted a "strong" name for the store, so he chose the letter J and then merged it with Southhampton, the adjacent neighborhood.